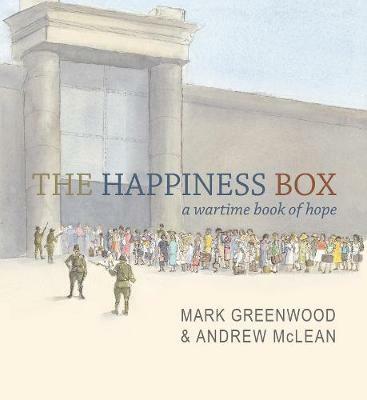 An inspiring narrative non-fiction picture book by award winners Mark Greenwood and Andrew McLean.In 1942, Sergeant "Griff" Griffin was a prisoner of war. With Christmas approaching, he decided to make a book for the children cooped up in nearby Changi Prison. The book was said t... read full description below. An inspiring narrative non-fiction picture book by award winners Mark Greenwood and Andrew McLean. In 1942, Sergeant Griff Griffin was a prisoner of war. With Christmas approaching, he decided to make a book for the children cooped up in nearby Changi Prison. The book was said to contain the secrets to happiness. But the enemy was suspicious ... With this picture book, award winners Mark Greenwood and Andrew McLean bring to life the inspirational true story of a book that became a National Treasure. Mark Greenwood, who has a passion for history and legends, is the author of many books for children, published both in the United States and in his native Australia. His recent book, The Drummer Boy of John John, was honoured by Kirkus Reviews ( Best of 2012 ) and the Bank Street College of Education Children's Book Committee. The Donkey of Gallipoli, illustrated by his wife, Frane Lessac, was a CBC Honour Book and a USBBY Outstanding International Book. His work has twice received the West Australian Premier's Book Award. Jandamarra, illustrated by Terry Denton, was short-listed for the 2014 Children's Book Council Awards. Mark's latest books include The Mayflower, published by Holiday House, and Midnight, published by Walker Books Australia and New Zealand and Candlewick Press in the US. Andrew McLean grew up in the Victorian country town of Bairnsdale. He trained as a painter and teacher, and taught in secondary schools before becoming a lecturer in painting and drawing at Caulfield Institute of Technology. He has been a full-time artist now for more than thirty years. Andrew and his wife Janet have created many picture books together, and Andrew also illustrates books written by other authors. Many of his books have been award winners: he has won the Children's Book Council of Australia Book of the Year Award three times. Bob the Railway Dog (written by Corinne Fenton) was his first work with Walker.